Displaying good business sense can mean different things to different roofing contractors. For some, it’s all about making as much profit as possible with every job. These companies might, for instance, try to upsell a product or service that isn’t truly necessary or recommend products based on their own profit margins. At IBEX Roof, we believe roofing contractors should aim higher. We focus on meeting the unique needs of our customers and do everything we can to ensure they receive the best value for their investments. It’s this philosophy that has made us one of the most trusted roofing companies in Lacey, Washington, and all surrounding areas. 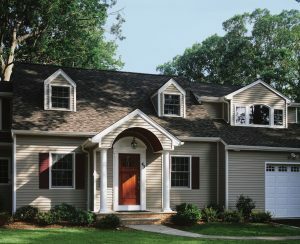 When you turn to IBEX Roof for a roof replacement, you’ll be partnering with a CertainTeed Select Shingle Applicator. That means we’ve been thoroughly vetted by the manufacturer, and our technicians have received extensive training in the proper installation of CertainTeed’s entire roofing system. It also allows us to offer the company’s five-star coverage, which includes an incredible 50-year shingle warranty and 25-year labor warranty. Whether your roof needs a minor repair or a major renovation, IBEX Roof is here for you. Contact us today and schedule a consultation with one of our representatives. We’re sure once you experience our level of personalized attention, you’ll agree we’re the smart choice among the roofing contractors serving Lacey, WA, and all nearby areas.